The Savory Hunter: Get Your Grill On: Who's KBBQ Is Worthy of the Kalbi Trophy? Get Your Grill On: Who's KBBQ Is Worthy of the Kalbi Trophy? Do you fancy yourself as having "mad skillz" when it comes to grilling? 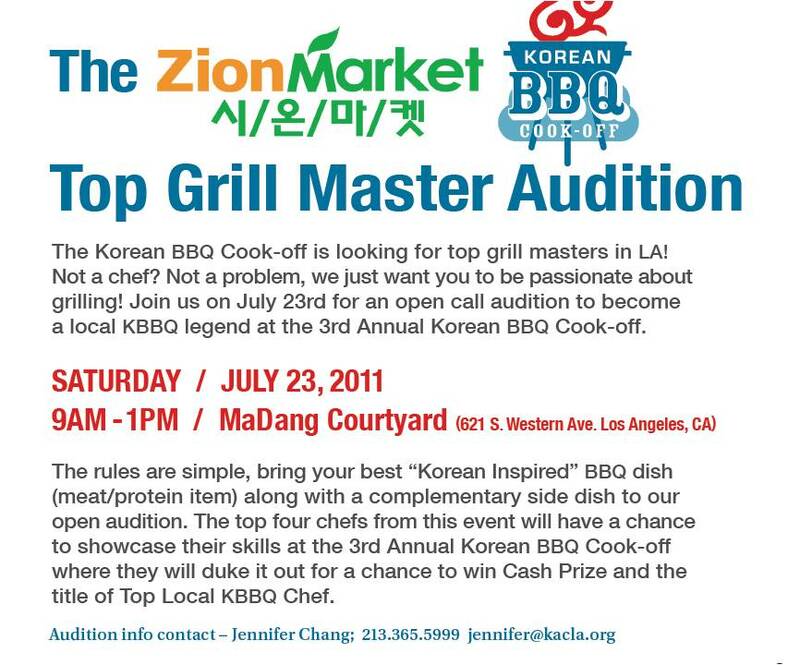 Then you might stand a chance in tomorrow morning's competition for a spot in the upcoming Korean BBQ cookoff. Two celebrity actors will be among the judges, but the X-Factor here is Sarah Gim, the founder of Tastespotting and the author of the Delicious Life. She knows good food when she sees it and will settle for nothing less than mouthwatering. If you can stand the heat, bring one 1 Korean BBQ inspired meat dish along with a side dish. Bring your meat fully cooked as you will only have five minutes to warm it up. You must also bring a dish to plate for presentation. There will be two rounds and you must be there by 9:05 am (Yikes!) or you will be excluded from the competition and splattered with kimchi.